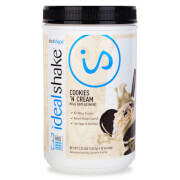 Chocolate Peanut Butter IdealShake tastes delicious with water or milk, or blended into juice and milk based smoothies! 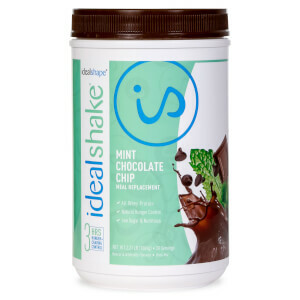 Plus, with our new and improved Chocolate Peanut Butter IdealShake you'll be getting 12g of high quality whey protein. After carefully considering your feedback we’re excited to transition to a new, all whey protein formula. Whey protein is easy to digest and quickly absorbed by your body. The new all whey formula gives IdealShake a velvety-smooth, rich and thick texture. 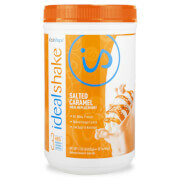 While I really enjoy the flavor of this shake, the liquid consistency is different from the other flavors I have tried in the past and also the other shake I had bought at the same time as this one. The mint chocolate with water in a shaker bottle his a bit of frothiness/thickness to it while the chocolate peanut butter keeps the water consistency. I prefer the thicker consistency as it helps me feel fuller longer. This is one of my favorite flavors. 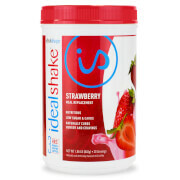 These are some awesome shakes, I have list about 12 lbs and have only been drinking the shakes for about a month. I use unsweetened almond milk with it, I drink a shake in the morning on the way to work, drink another one at lunch and eat 1 container of Oikles Total Zero yogurt, and for supper zi eat a mea6. I also drink water instead of tea or sodaz. Who doesn’t love a peanut butter cup!!! I LOVE this product, I love the flavor, love that it's only 2g sugar, I feel full, tastes great and does really control hunger and cravings. I love that it does what it says it does. 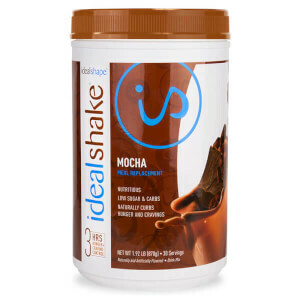 I’ve tried a lot of shakes to maintain my weight loss of 160 pounds. This shake is great tasting and satisfying. I drink it once sometimes twice daily and love it. My favorite is Peanut Butter chocolate and Chocolate. But for my upcoming vacation I ordered the individual packets to take with me. Could not specifically order peanut butter chocolate or just chocolate. Was very disappointed but did order the variety pack and will make due for the 15 days I’m gone. Only complaint is not being able to order individual packets of chocolate and peanut butter chocolate. This is the best shake ever! I love the taste, it's a quick breakfast and it keeps me full until lunch. Good flavor, but I feel like it’s still gritty after lots of shaking in shaker cup. Might be better in a blender. Chocolate Peanut Butter is my favorite flavor shake! Very satisfying and tastes delicious. I almost feel like I'm cheating whenever I drink this shake. Please keep this flavor in stock, sometimes I am unable to order it.